This sign is for Texaco Airplane Engineer. The sign’s colors are . The text on the sign reads: red, white, black and green. 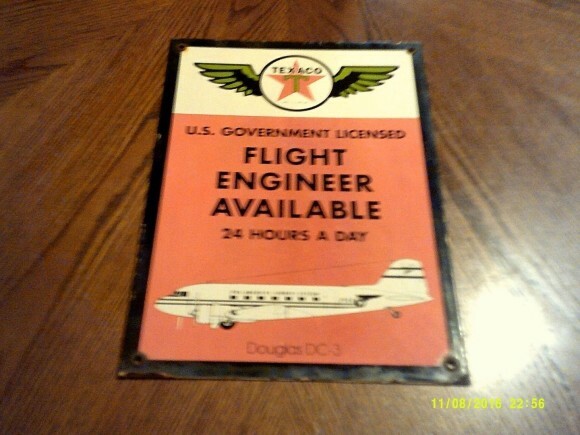 The sign shows Texaco US Government License flight engineer available 24 hours a day.